Hi, I’m Nicole! My husband, Mike, and I live in Georgia with our 14-year-old daughter and 12-year-old-son. My career background is in media sales and insurance, but my secret dream job was always to work as a Disney Travel Planner! I found out about Small World Big Fun because I was actually a client first. My husband’s parents passed away the summer of 2011. We wanted to go somewhere different for Christmas that year because, as you can imagine, we didn’t want the holiday memories at home without Mike’s parents. I contacted Small World Big Fun and was matched up with Shannon Seibert who planned our wonderful Disney Christmas vacation. It’s still one of my favorite trips ever. You could say that Disney’s in my blood. My mom and step-dad spent their honeymoon many, many years ago at Walt Disney World, and guess who they brought with them? Little 5-year-old Nicole! I’ll never forget that trip and the many more that followed. I grew up in Tallahassee, FL so going to Disney was a regular occurrence for my family. My daughter was 18 months old when we took her on her first trip to Disney; she’s now been 14 times. I’m so lucky that I have a husband who loves Disney about as much as I do. Mike and I have a no-nonsense way of maneuvering through the parks and getting as much done as possible in the time we have. My park itineraries for my clients include the easiest way to see as much of the parks as they want to see. Every client is different and their expectations are different as well! I work with everyone! Always, ALWAYS know where your Magic Band is! Cast Members are your friends, ask them anything. Of course, I’m your first point of contact, but when you’re in the parks or at your resort, don’t be afraid to get answers from Cast Members. If you’re traveling with older kids, get them involved with pin trading at Disney. It’s the coolest way for your kids to interact with Cast Members/trade pins/learn more about the history of the pins and the parks. Here’s a bonus tip: Relax! It’s your vacation. If you want to change something I’ve planned for you, go ahead, it’s okay! We all need to spend more time loving the life we have because it’s short. Our family is a bunch of thrill seekers! Our two favorite rides are Expedition Everest and Rock ‘n’ Roller Coaster. And for sentimental reasons, we love the Enchanted Tiki Room. I think the clients I have worked with truly value what I do for them in terms of the details of planning their vacation. Many of them simply don’t have the time or patience to do it, and they love having someone else take care of it. I’m a detail person, and I love the challenge of planning every element of each client’s trip. My clients get so much more out of their vacations by booking it with me versus doing it themselves. They get my knowledge of Disney products and they get the extended knowledge of all the other SWBF travel agents on our team!. They also get the benefit of having someone on their side if something goes awry on their trip. Most of the time, everything goes great, but when it doesn’t, I’m there to smooth things out for them. 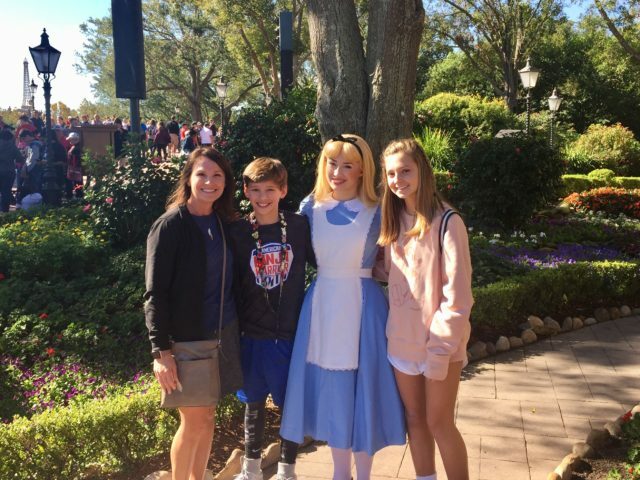 One of my favorite trips I’ve planned was for a grandmother and grandfather taking their grandson to Disney for the very first time. The sheer joy of that grandmother sharing her experiences with me after the trip just warmed my heart. She’s already talking about planning another Disney vacation or taking a Disney Cruise with him next year! Taking a client’s idea of a trip to Walt Disney World and making it something that’s more than they ever expected is so much fun for me. I really enjoy getting emails with photos from clients while they are on their trips telling me how great of a time they are having. I’ve also been fortunate to work with some spectacular women and men that I call my friends and co-travel agents at Small World Big Fun. If you’d like me to plan your Disney vacation, please get in touch! You can call or text me at 770-605-4238 or email me at nhudson@smallworldbigfun.com. You can also find me on Facebook!